Baby Winx!. . 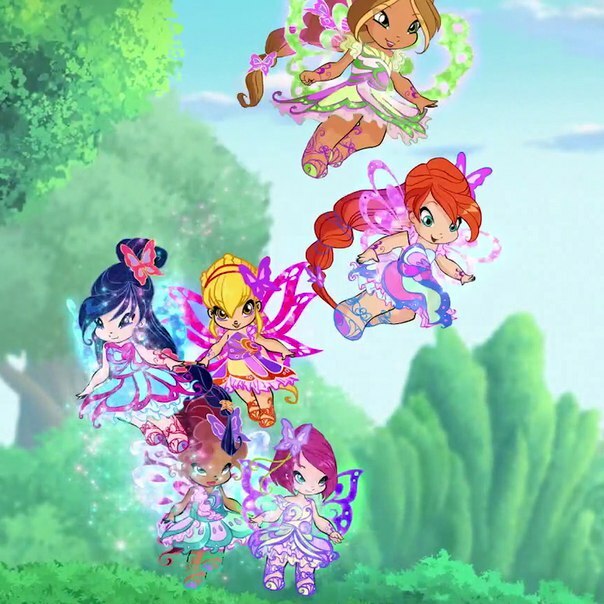 Wallpaper and background images in the Winx Club club tagged: photo winx club flora bloom stella musa aisha tecna season 7 butterflix. This Winx Club photo might contain fingerhut, digitalis, japanische aprikose, mei, ume, prunus mume, berglorbeer, holz lorbeer, amerikanische lorbeer, kattun busch, kalmia latifolia, berg lorbeer, american lorbeer, calico busch, mountain laurel, holz laurel, amerikanischer lorbeer, and calico bush.